Who: Typically offered at the end of the second grade. It is a two year program. The student must have completed two years of CCD classes or Catholic School or a combination of both. 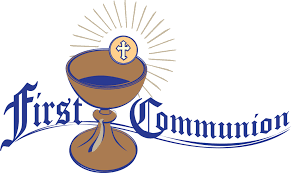 How: Any child seeking to receive First Holy Communion needs to register with the CCD Coordinator in the Religious Education program prior to the start of the school year. The student must have completed the first year of CCD Classes or Catholic School to enter the First Holy Communion class. A copy of the child’s Baptismal Certificate is needed, if not baptized at Our Lady of Victory. Regular attendance at Sunday Mass is required.